Daily Mirror - Bond Scam Report President’s trump card against UNP? But did he act prematurely? The Bond-scam Report is the trump card any politician would like to have against his opponents. In a wildly chaotic political scenario, the Bond-scam Report was released by its authors, not to the public or Parliament, but to President Maithripala Sirisena. 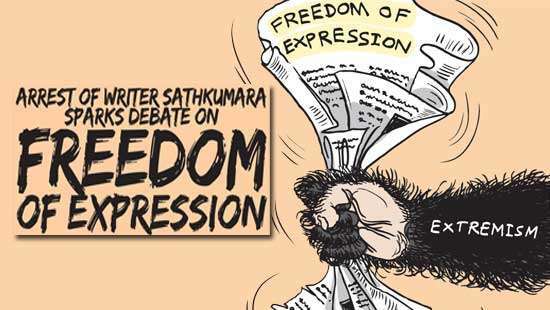 In rushing to make political capital out of a financial scam of severe consequence to his own government, Sirisena may have committed a political blunder that might entail more severe consequences to himself and his party, Sri Lanka Freedom Party (SLFP). If it is true, the answer to that question requires careful consideration. President Sirisena, after receiving the so-called Bond-scam report from the Presidential Inquiry team, decided to make a statement relating to the findings of the Report, without any assistance from the lawyers who would have advised him to be more careful when attempting to gain any advantage over his coalition partner, United National Party (UNP), the political party that was principally responsible for his victory in 2015. 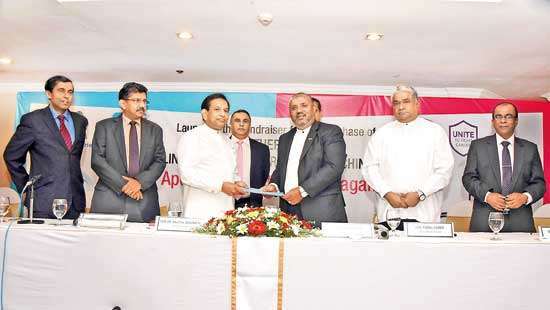 However, he may have been advised by some lawyers whose primary aim was to create a political turmoil instead of making amends to bring about a harmonious coexistence between the UNP and SLFP. Playing politics with a report that could have political consequences is the prerogative of the party that is billed to gain such advantages. Yet, one has to go beyond the local government elections in which context these moves and countermoves are being contemplated and extended towards a satisfactory conclusion. Any politician who plays ‘Politricks’ with an explosive issue after coming to power, especially against the backdrop of a coalition-governing structure, does it at the risk of losing credibility in the long-term footings. Whatever the substance of a Report that has been the outcome of a Special Presidential Inquiry, addressing publicly on an un-debated part or the whole of the said Report by any political leader who happens to be the person who has exclusive access to the Report, is not fair nor is it wise. The parliamentarians of the UNP, including the Prime Minister, who were not informed of this public statement by President Sirisena, might feel quite hopeless and doomed about this. That is the crucial blunder that the President may have committed, if he has done so. However, the veracity of the assumption that what President committed was, in fact, a blunder, can be confirmed or denied, only in the event the SLFP and its contestants do well at the forthcoming local government elections. Many blunders have been committed by even great leaders. Mahinda Rajapaksa, albeit he does not belong to the ‘great leaders’ category, made a monumental blunder by opting to hold Presidential Election before it was due. Expressing his views, before the Bond-scam Report was released to Parliament, falls into the classification of ‘jumping the gun’. Political moves and countermoves are, more often than not, made on instincts of leaders whose allegiance to power they hold overshadows long-term effects of such decisions. The clever ones make calculated decisions which would have either suppressing effects on the people under whose name those decisions are purported to be made or benefiting results on both the country at large and its leaders. Such clever ones, Sri Lanka had. Among them DS Senanayake and Dudley Senanayake loom large. Bother these leaders; father and son; though born to wealth and the local elite class, emerged as selfless political leaders who made timely decisions without any concern or care for personal loss or gain. If their badge was class and dignity, their inner craving was service of their people. Never resorting to using political power to enrich themselves and abuse it to punish their rivals, they made decisions of policy and programs, whether considered right or wrong by their peers, to suit the needs of the hour. Both believed in capitalistic economic structures and philosophies that had a human face and social justice. Some of their programs may have failed in the face of mighty opposition launched by their respective opposition gangs at the time, but never could any person point a finger of corruption and personal degeneracy as is manifestly visible in most of the politicians of today. The difference between the father DS and son Dudley was, whereas DS could read the pulse of the people fairly well, Dudley was woefully deficient in that art and craft. The only other leader who could be mentioned with DS and Dudley is another leader of the UNP, JR Jayewardene. JR had a scientific approach to politics. His mastery of mathematical calculations in politics, sometimes, dictated his policy and philosophy. A greater student of history than DS and Dudley, JR made his political calculations with the patience of a crafty tiger approaching a kill of an unprepared antelope. But when it came to reading the pulse of the people, especially the most underprivileged class, none could match R. Premadasa, as his world was different. However, his elemental desire to serve the déclassé was overpowered by an avaricious need for permanency in power - an unforgiving creed of all narcissistic authoritarians. Against such a disjointed yet tradition-rich backdrop of historical facts, Ranil Wickremasinghe, the leader of the UNP which was earlier led by DS, Dudley, JR and Premadasa, is confronted with a dilemma. How can he respond to the public criticisms by his own President, who is in power mainly because more than 80% of the votes were delivered by his party, the UNP. Observation of aloofness and decorum at this juncture is very much in need. Post-independence history reveals that all coalition governments suffer splits in three to four years. SWRD Bandaranaike’s Mahajana Eksath Peramuna regime, UNP/FP (Federal Party) government, Sirimavo-led coalition in the mid-70s, all had no more than a shelf-life of four years. It is the nature of political dynamics. The marriage between Maithripala Sirisena and Ranil Wickremasinghe ended up in an uncomfortable living-together between the two most dominating political entities in modern Sri Lanka. 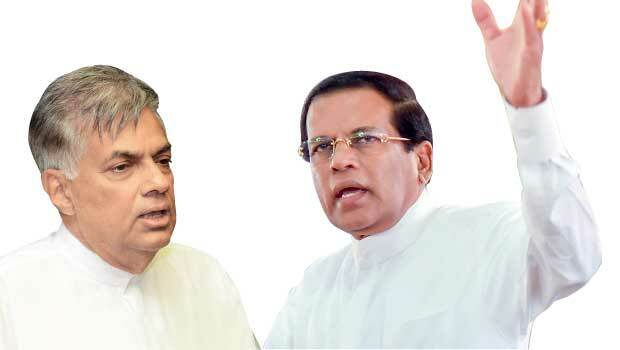 UNP and SLFP are the two ultimate rivals in today’s political show-ground. While the UNP had been out of power since 1994, the SLFP has been in the unenviable status being in power, barring a short time in between 2001 to 2003, ever since, if one considers them to be an equal partner in the current government. The average UNP supporter would estimate and gauge the intent and motivation behind the public utterances of the President only in that light. That again is the reason why I posed the question at the very outset of this column whether Maithripala Sirisena used his trump card in this game of political bargaining too soon. 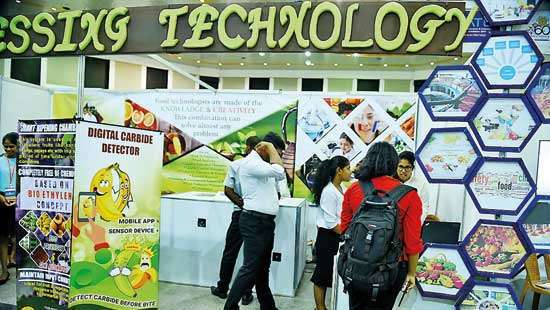 The UNP and its Ministers, in this short run of three years may have committed many a mistake; they may have been deficient in transparency and accountability which elements of government President Sirisena wants established and sustained. But the criminal corruption committed by the Rajapaksa regime is far too wide and more deplorable. Nevertheless, such lofty ideals and ideas like transparency and accountability may not have penetrated into the thinking and response of the average UNP supporter/voter. Rotting away in the Opposition benches for twenty long years is a good enough reason for them to safeguard the electoral gains they made both in Presidential and Parliament Elections in 2015. That alone is good enough to drive them to the polling booth on February 10, 2018. On the other hand the voter fatigue would set in against the SLFP which has been in power for more than two decades. All these elements would have their own inner propensities to lead a fairly manageable situation into a chaotic crisis. If the current impasse reaches a critical mass, breaking down of a carefully put-together coalition is inevitable. Many a politician might end up without portfolios and new faces would replace them. A crisis of unmanageable proportion is no alternative to an inscrutable convergence of political parties which hold diametrically opposite views. However unstable, the present coalition should not be bartered for vitriol of short-term value. When the pillars fall, the structure and its roof would collapse in no time. That won’t leave any room or time for anyone, big or small, right or wrong or good or bad to escape. The collapsing pile will bury whatever is underneath it. That is the unkind truth about coalition governments. After the collapse of each coalition-government, the Opposition came to power. In 1960, 1970 and in 1977 it happened. History doesn’t tell lies. It only reveals them. We all will have to turn our searchlights inwards. In ‘The Discovery of India’, Nehru writes thus: “A civilization decays much more from inner failure than from external attack. It may fail because in a sense it has worked itself out and has nothing more to offer…”My earnest wish is that the current coalition government has not reached that frontier.